Simple and economical by picking up with pallet fork. Bristles made of durable material, low wear. 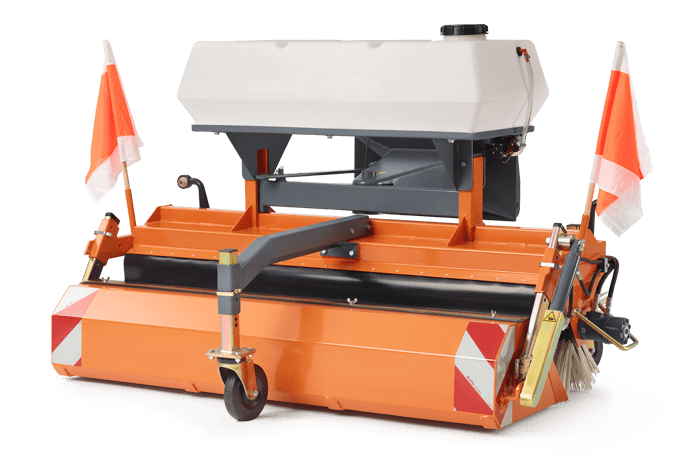 Sweeping roller made of polypropylene, Ø 600 mm. 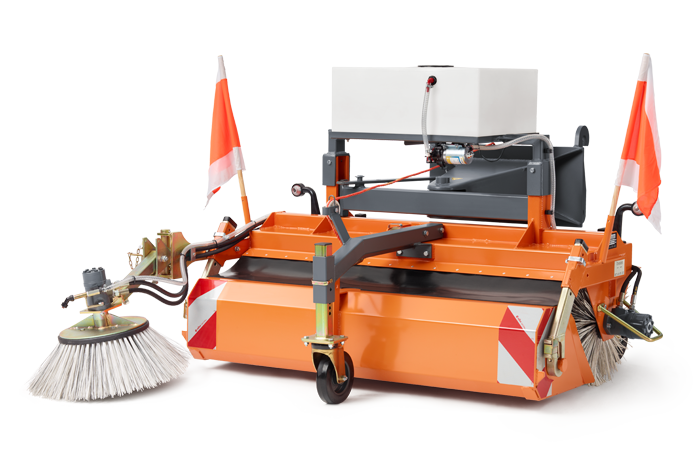 Dual system (dirt-collecting and also free-sweeping). Roller levelling for optimal ground adaptation. 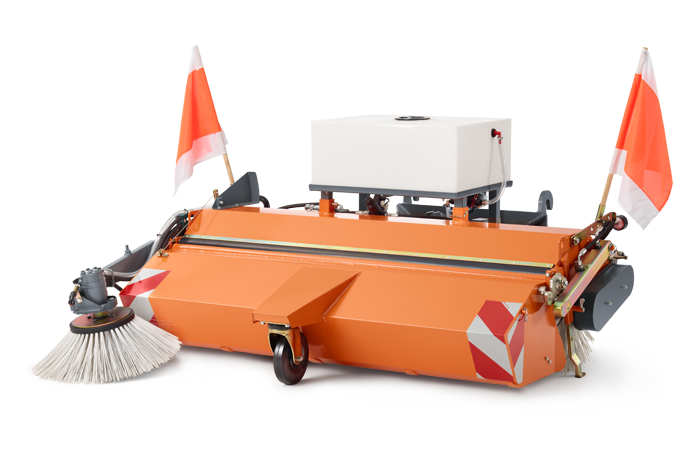 Sweeping roller made of polypropylene, Ø 580 mm. 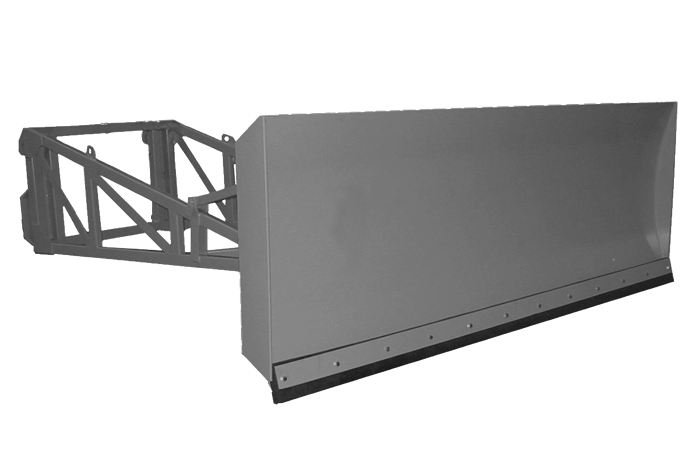 Convenient tool-free adjustment of collecting tray and impellers. 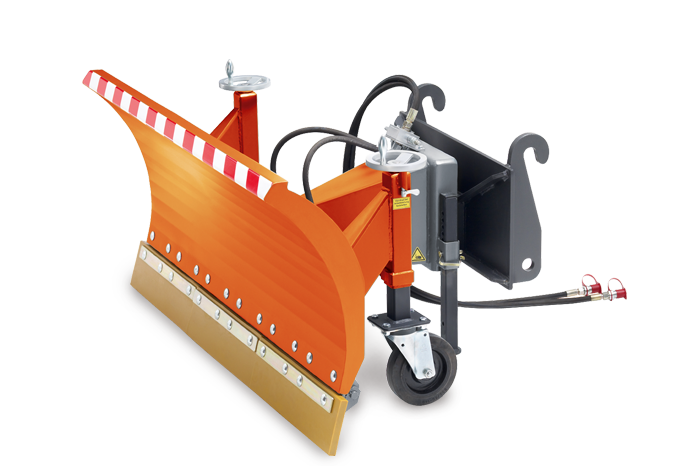 Spreader for spreading de-icing salt, salt-gravel mixtures and grit. Operation via control panel from the driver’s seat. Includes cover to protect salt against humidity. Special waterproof agitator technology for even material flow. 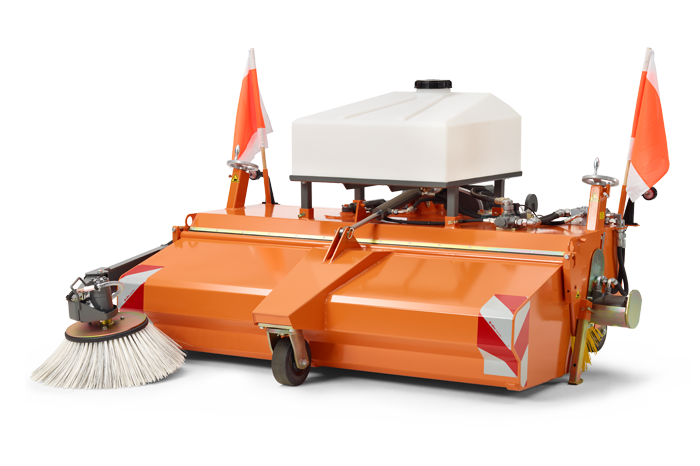 Electrically driven, battery cables for direct supply (12 V) included. Roller level compensation for optimal ground contour adaptation. Impellers with vulcanised elastic rubber for long service life, continiously adjustable by using hand wheel. 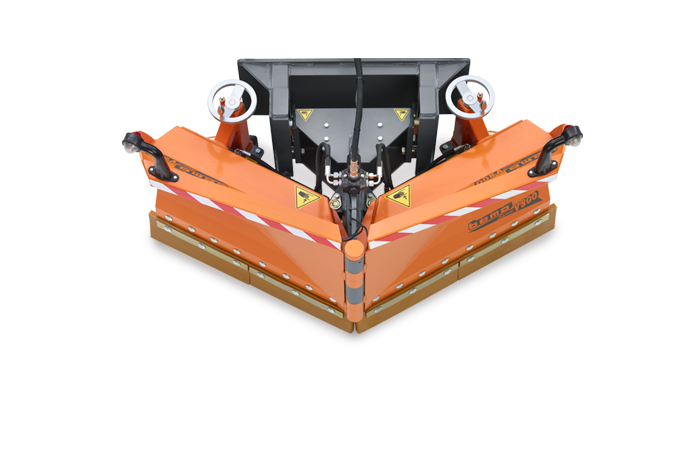 Two dual-acting hydraulic cylinders for pivoting the plate body. 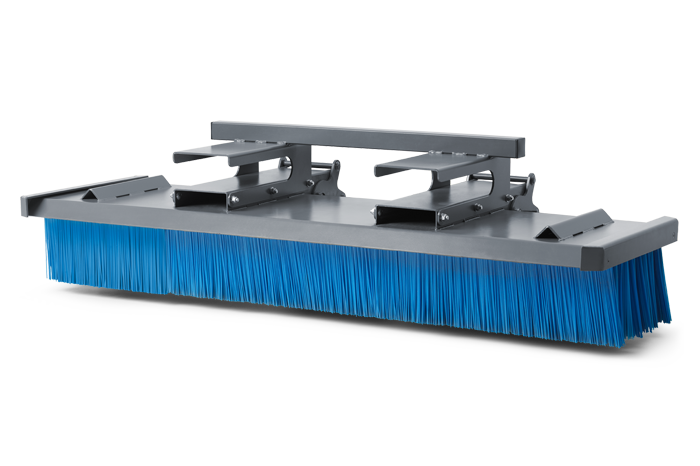 This makes 4 different plate positions possible – hydraulically adjustable from the driver’s seat. Impellers with vulcanised elastic rubber for long service life. Height is continuously adjustable by hand wheel. Pivoting angle is mechanically adjustable. Spring flap segments with vulkolan edging (thickness 20 mm, height 150 mm). 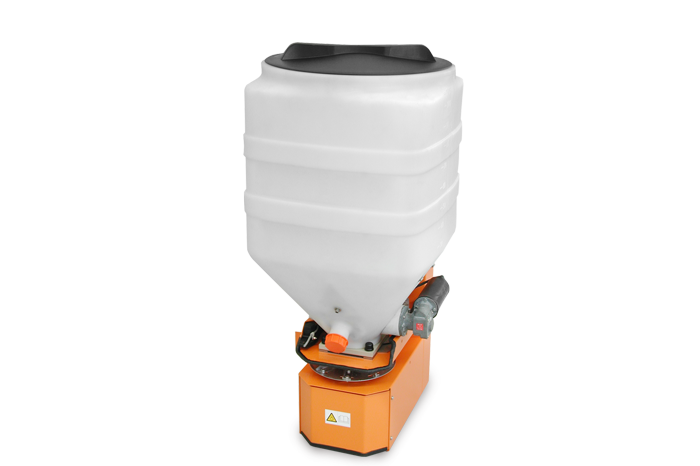 Collecting of bulk materials (for example, salt). Replaceable wear strip made of plastic. Extends the reach of the machine considerably. Extension for larger reach (+1000 mm). 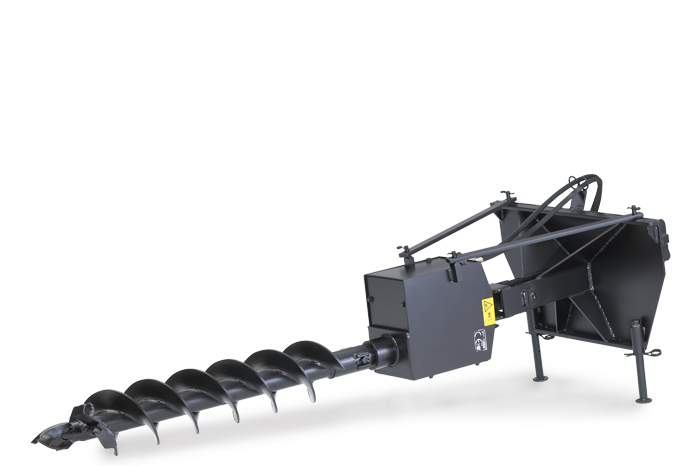 Diverse application possibilities: Earth augers drill for setting posts for fences, planting trees and setting signs.